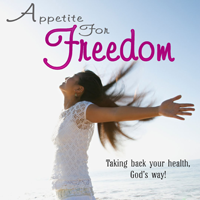 Please read this honest testimony of a woman who has been healed and set free from the death grip of eating disorders. Let us therefore come boldly unto the throne of grace, that we may obtain mercy, and find grace to help in time of need, Hebrews 4:16 (KJV). and learn to be content with my lot in life.” This prayer transformed my life. By simply releasing everything to the Lord’s power, a supernatural peace settled within me. With all my destructive coping mechanisms which had entangled me, being able to accept life as it was offered much relief. the food. The vomiting would completely exhaust me, shut my mind off, and quicken my sleep. On the outside my life looked perfect. Just as the world tells us to live. Great family, tall skinny blonde, great career in the fashion industry, model, always dating. I had the newest cell phone, the sports car, clothes, hair and nails. If I wasn’t working, I would be dating, partying, wining and dining. I’d travel to Toronto to visit the clubs and shop. However, at home I was depressed. I would plan my days off to lament in my despair. My life was out of control. My parents knew the real me. Jesus knew the real me. I could not save myself. I could not stop myself in any aspect. My spiritual life had been quenched to a point of being nonexistent. “But My people did not listen to My voice; And Israel did not obey Me. So I gave them over to the stubbornness of their own heart, to walk in their own devices.” Psalm 81:11-12 (NASB). mind. I knew the Lord was ultimately my counselor and friend. peace through this obedient submission. The dark spiritual oppression hovering over me lifted. 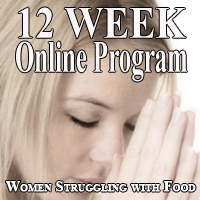 I was willing to submit to the Lord’s authority, recognizing I needed help. God and leave all the consequences to Him.” That is what I did. stopped “clubbing” and “Kissed Dating Good-Bye” (great book on courtship vs dating). Truly the Lord must receive all the glory for these changes in my life. The Holy Spirit was working within me, changing my nature. God’s truth was slowly freeing me. John 8:31-32 tells us that “if you continue in My word, then you are truly disciples of Mine; and you will know the truth, and the truth will make you free.” Remain in God’s word, find the truth, and become a disciple of Jesus Christ. fed my depression was how to live a fulfilled life as a single person. I had always dreamed of raising a family, it seemed a natural calling in my life. 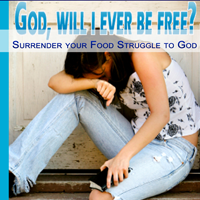 However, I needed to surrender this desire to the Lord and find joy in Him alone. HE truly knows the desires of your heart (Psalm 37:4). God’s word, prayer, meditation, and waiting on the Lord. He has the power to heal. “He saved us, not on the basis of deeds which we have done in righteousness, but according to His mercy, by the washing of regeneration and renewing by the Holy Spirit” Titus 3:5 (NASB). prayer, alert in it with an attitude of thanksgiving”(NASB). The Lord is truly my Savior, I will forever be grateful to His saving grace in my life. Now, to Him who is able to do exceeding, abundantly beyond all that we ask or think according to the power that works within us, to Him be the glory in the church and in Christ Jesus to all generations forever and ever. Amen. Dr. John Piper, www.desiringgod.org What do you do if you don’t desire God? Thank you so much for sharing your testimony with us A.A.